Two headless male bodies and a detached female head have been found washed up on tourist resort beaches in southern Thailand. One naked male body found by police at Mae Ramphueng Beach in Rayong belonged to a man with an English language tattoo on his wrist and cut wounds at the neck, according to Thai news site The Thaiger. The other male body, which also washed up without a head on 6 February, was found wearing only underwear 10km along the coast at Rayong’s PMY Beach. 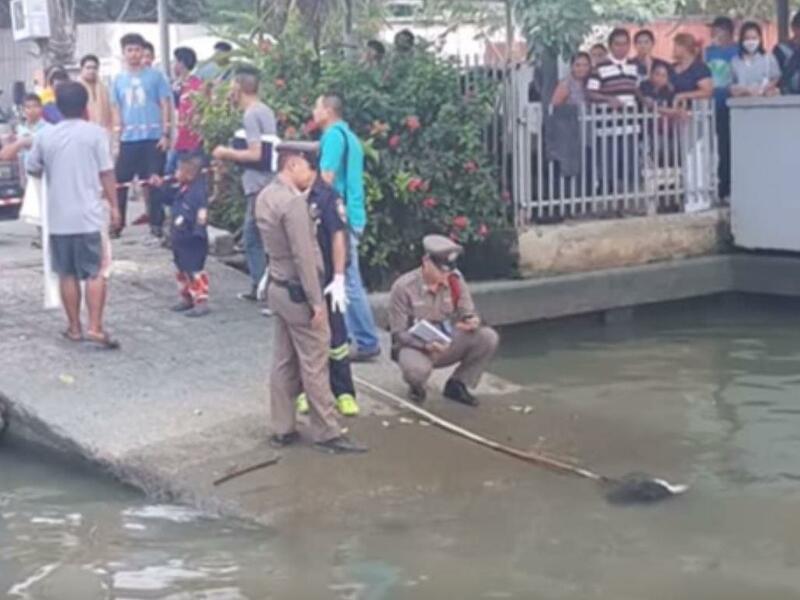 Separately, a detached head believed to belong to a woman was found in the water at Prapadaeng, around 20km south of Bangkok. South Samrong police chief Prasert Buakhao told Thai media that the head was intially found by fishermen near the Petra jetty earlier this week. Thai Raksa Chart Party leader Preechapol Pongpanich (C-L) submits the election registration form to an officer at the Election Commission in Bangkok, Thailand. A political party linked with Thaksin Shinawatra, the Thai Raksa Chart Party nominated Princess Ubolratana Mahidol, elder sister of King Maha Vajiralongkorn, as prime minister candidate for the upcoming general election. Thailand is set to hold a general election on 24 March 2019, the first poll in five years since the May 2014 military coup. Police investigators are trying to identify all three people, and reportedly suspect their deaths could be linked. Officials believe the man with the tattoo died at least one week before his body was spotted. The second man’s body showed even greater signs of decay, and he may have died at least 10 days before his remains turned up. The authorities are looking at missing persons’ lists for clues. The beaches at Rayong, around two hours from Bangkok in south-east Thailand, are among the country’s most popular with international travellers. The Mae Ramphueng Beach – where the first man was found – forms part of Khao Lame Ya national park in the province.